A month-long salute to American Composers begins today! Every year at Salon97 we celebrate American composers in the month of July. The whole month! 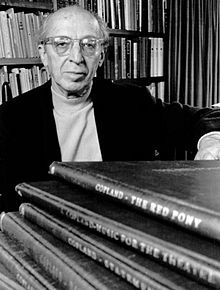 We kicked things off today with a post of all things Aaron Copland. Stop by to listen to a few tunes and grab some trivia! And keep your eye on this space for more great American composers stuff throughout the month. « 06/18/13 Membership Drive Update: 60%!